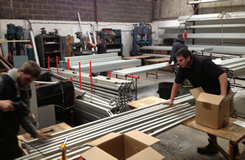 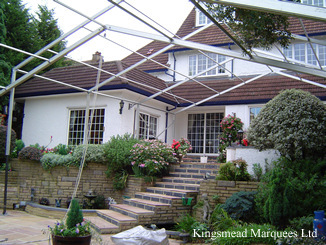 Please see below a brief overview of the versatile Eurospan Structures. 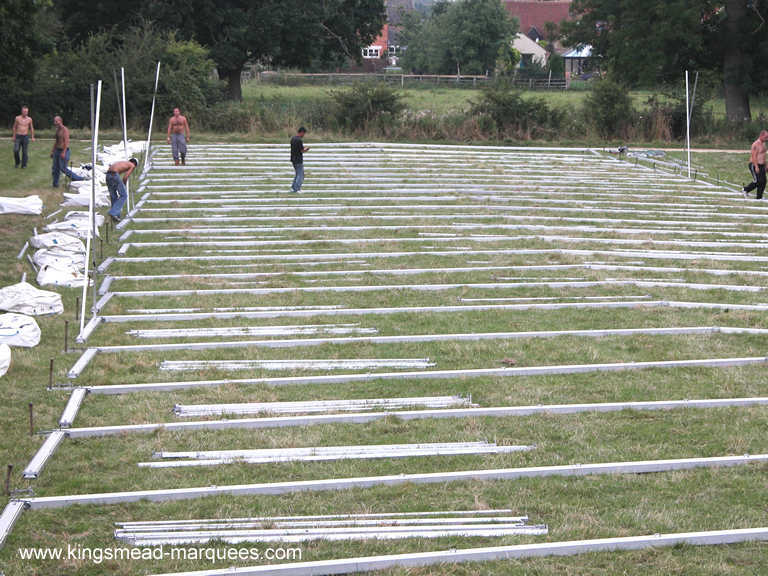 Our purpose designed ballast system enables structures up to 15m wide to be erected on solid surfaces without the need for ground stakes. 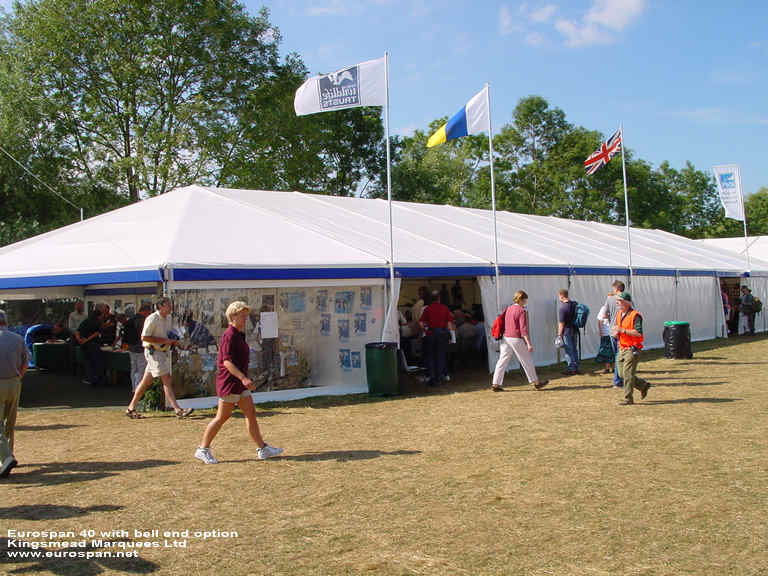 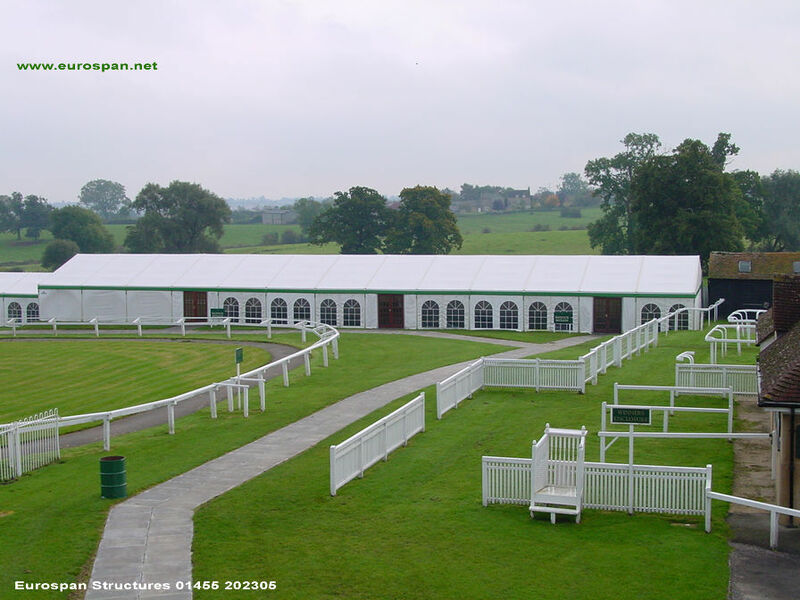 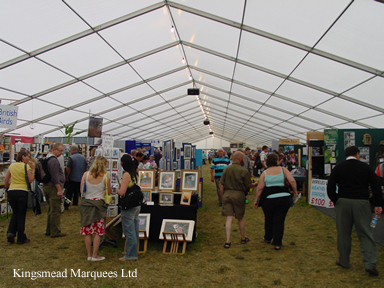 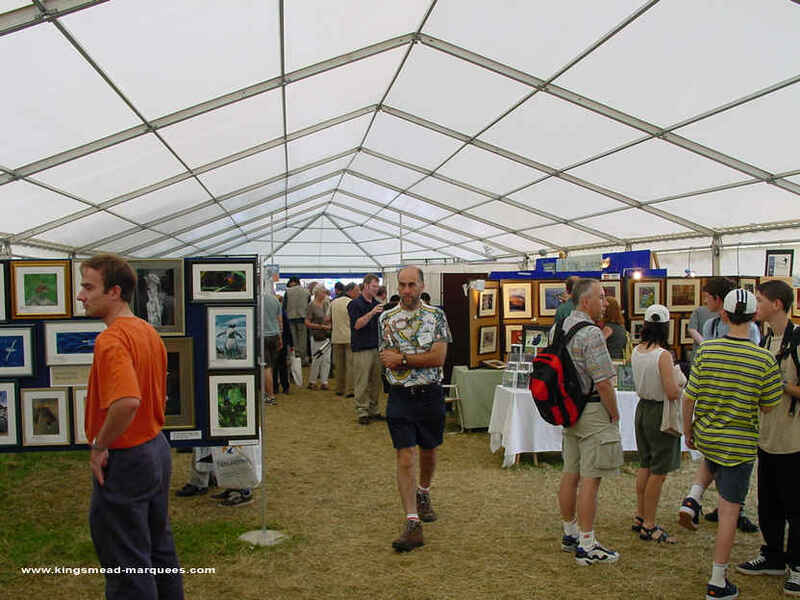 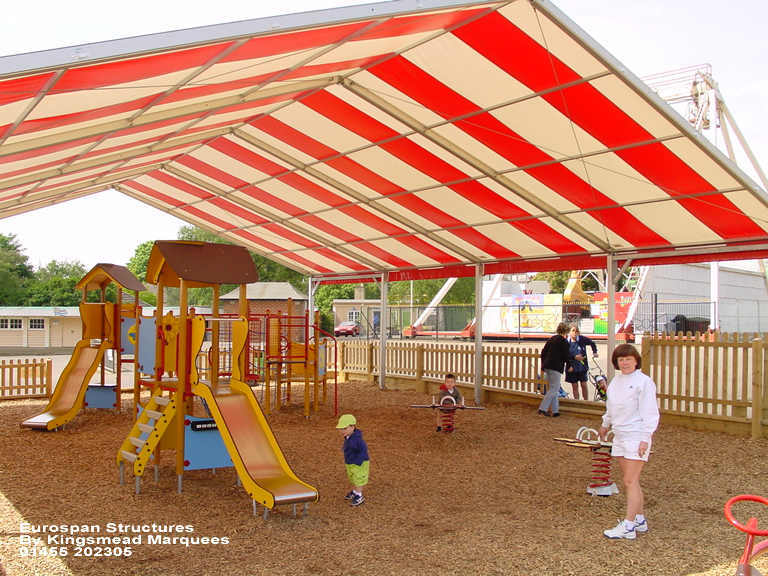 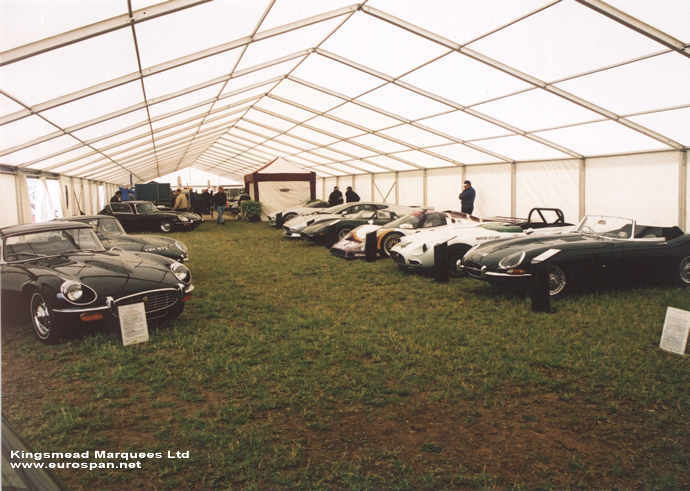 Eurospan Structures are used at many types of venue, from back gardens to company car parks, beaches to town centres, roof gardens to showgrounds. 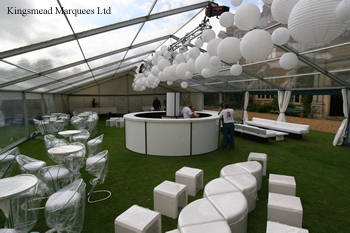 Their versatile design is the key attribute for all types of occasion from a simple family gathering to a major corporate event. 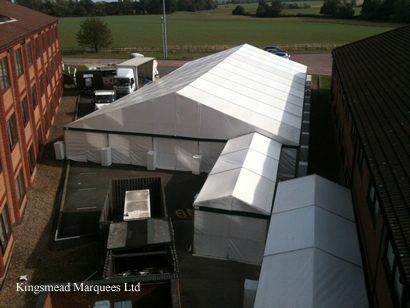 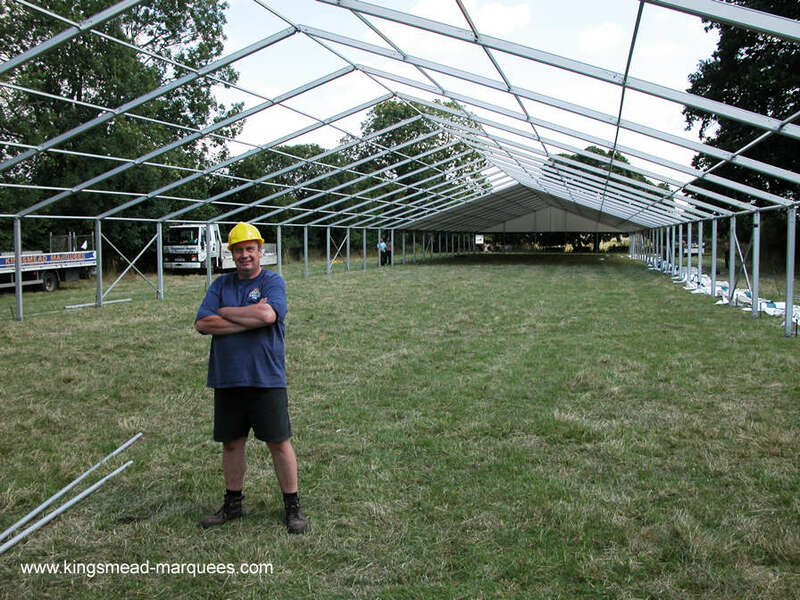 Fast & safe installation...... Kingsmead staff will have completed a structure safe MUTA training course with site managers holding a level 3 diploma in temporary structures for events. 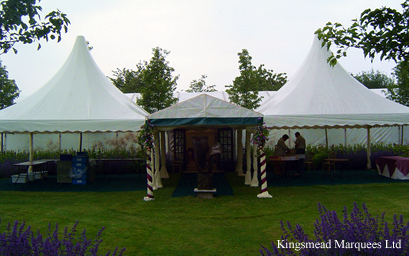 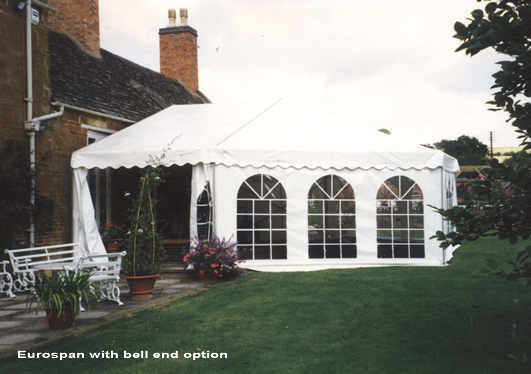 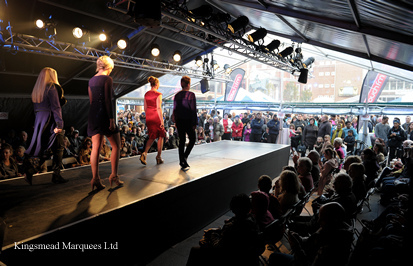 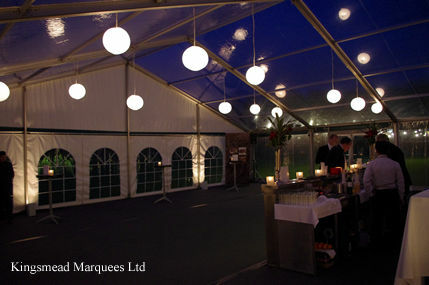 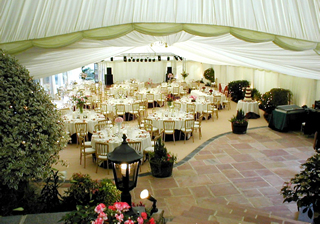 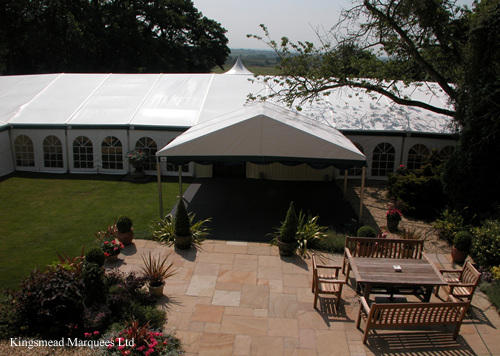 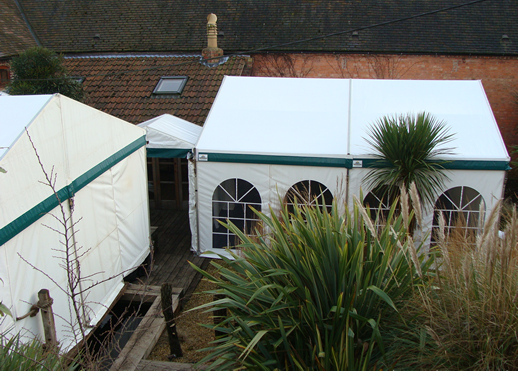 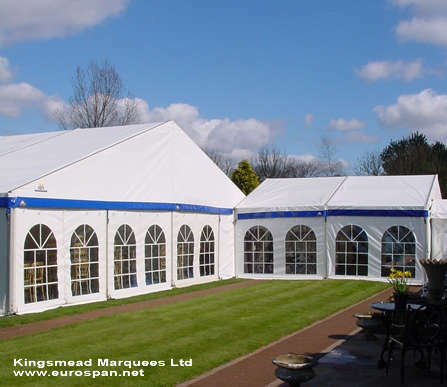 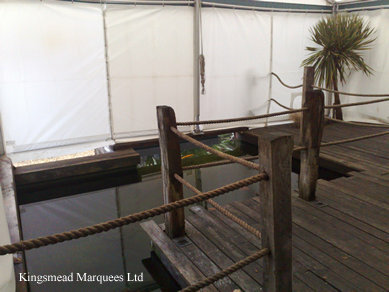 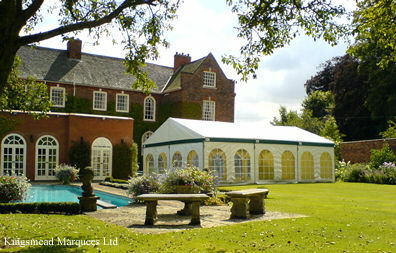 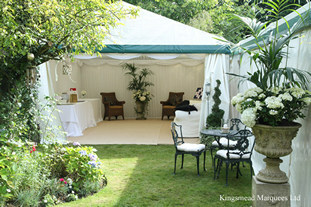 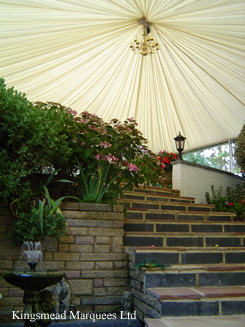 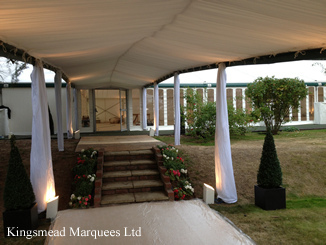 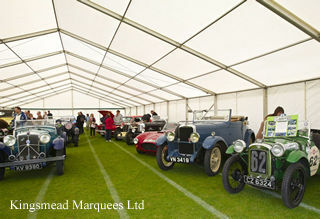 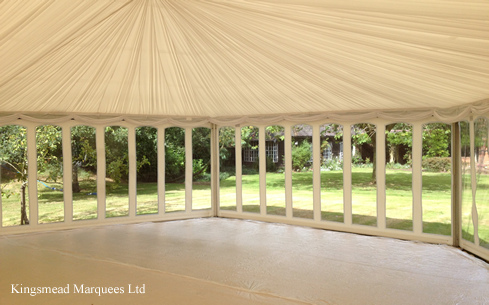 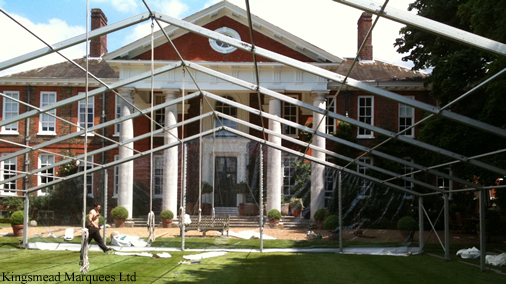 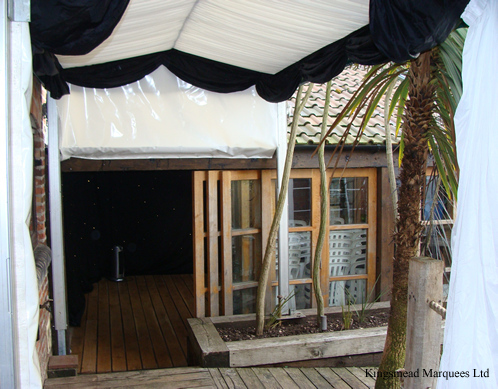 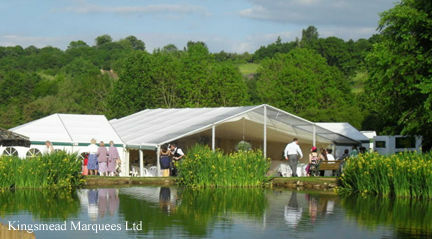 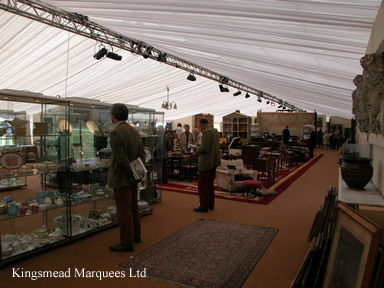 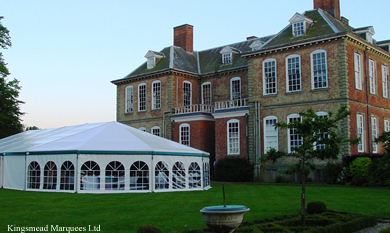 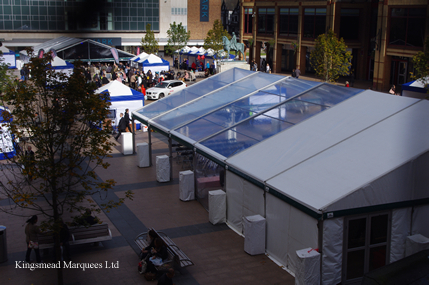 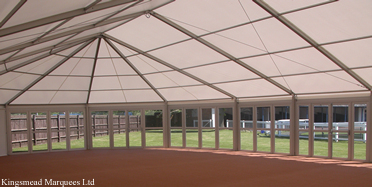 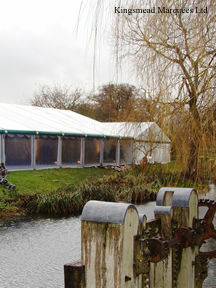 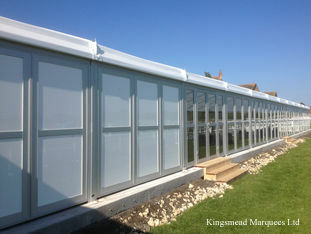 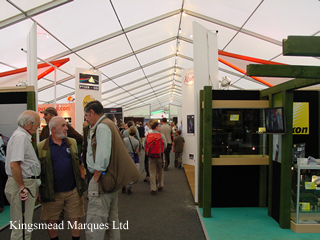 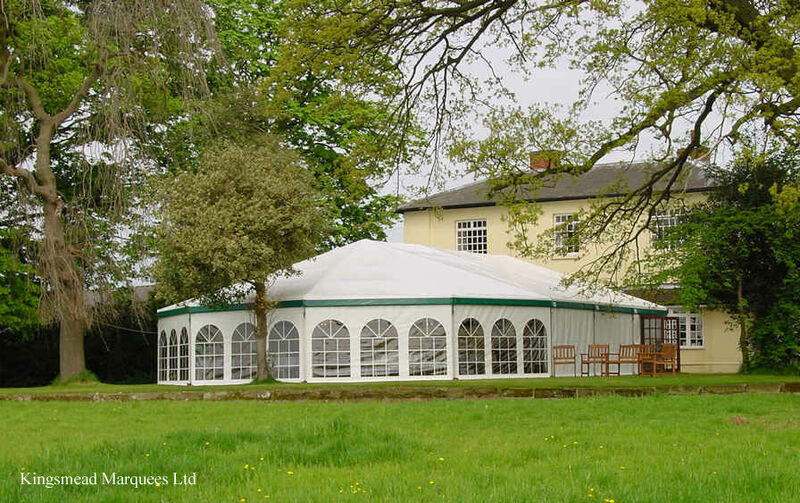 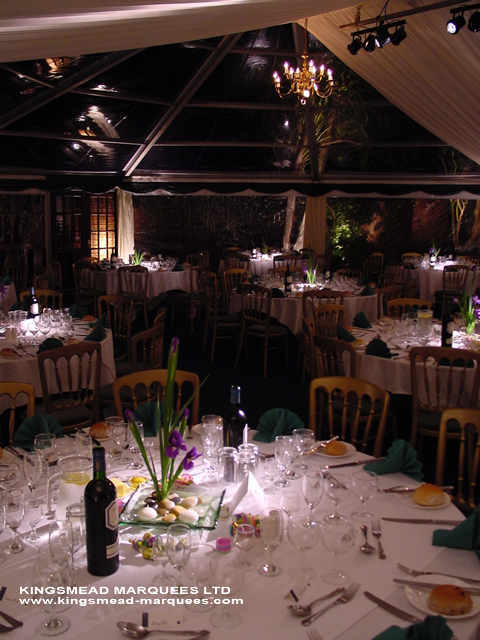 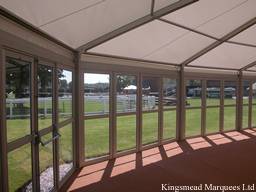 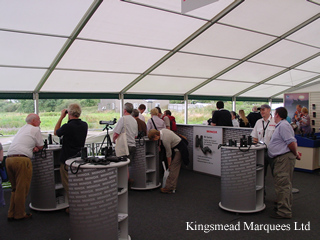 Clear end sections can make the most of an attractive venue, day or night, winter or summer.